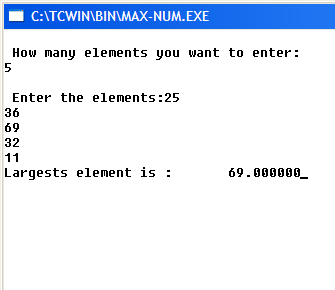 To write a C program to read set of real numbers from keyboard and find the maximum among them, you can use a function which takes an array of real numbers and its size as arguments and return the maximum. Using this function you can write a program to read a set of real numbers from the keyboard and find the maximum number in the array. Under main() function, declare two integers i and n.
Prompt the message to the user to insert how many elements they want to enter using printf() and allow to enter using scanf(). Prompt the message and allow to enter the elements. Find out the maximum number among them using max() function. Print the maximum number along with message. 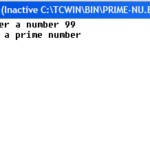 Write a Program in C to Determine Whether a Number is Prime or Not.